Kimberly J. Brown is an American actress. 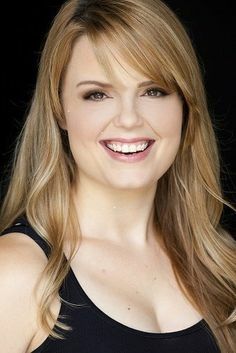 She is best known for roles such as Marnie Piper in the Halloweentown films, Marah Lewis in Guiding Light and as Annie Wheaton in the Rose Red miniseries. For her role in Guiding Light, she received a Daytime Emmy nomination at 11. In 2000, she starred in Quints, a Disney Channel Original Movie, as Jamie Grover. Born Kimberly Jean Brown on November 16, 1984 in Gaithersburg, Maryland, USA, she has three brothers: Richard, Roman and Dylan. She began acting in commercials for the Ford Agency at the age of 5. *She was born on November 16, 1984 in Gaithersburg, Maryland, USA. *She began acting at the age of 5. *By age 11 Kimberly had already enjoyed success as a child model with Ford Models. *She is with the height 5 feet 5½ inches in tall. She wears a size 7.5 shoe and her zodiac sign is Scorpio. *Follow her on Twitter, YouTube, Facebook and Instagram.